How old is this Spiewak & Sons G-1?? Discussion in 'Vintage' started by fedoralover, Mar 9, 2012. I Spiewak & Sons inc.
Any help on the date and info on the maker and jacket would be appreciated. Well I believe I just answered my own question. In doing some extra research I found this is just a reproduction. Spiewak never made G-1s. Still it fits great and looks pretty decent, I just wish the collar was a different color. Yes, it is a repro. The little American flag and the flat-pull Scovill hint that the jacket was made fairly recently...my gut feeling is the 1990s. 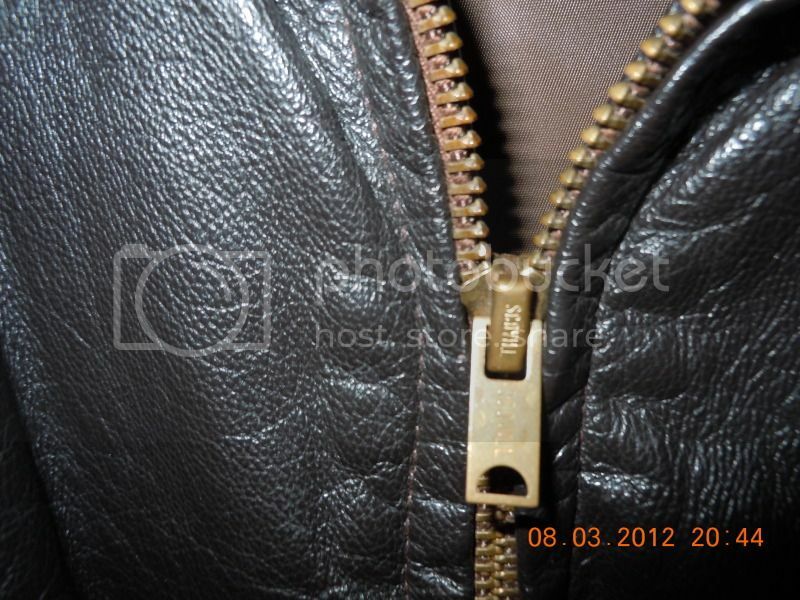 BTW, is the zipper marked "Ideal" anywhere? Scovill was purchased by Ideal in 1996 but Scovill zippers are still being produced. zip just says scovill. I knew it wasn't from as far back as the 60s but I thought it might have still been a government issue at one time. They even punched in the USN on the storm flap. 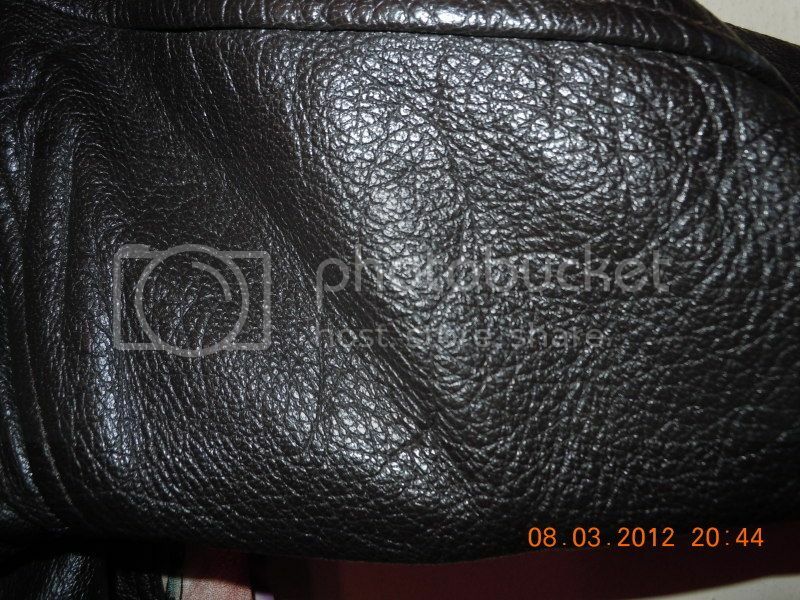 It's actually a nice looking jacket, mostly because of the nice graining in the leather. I'm wondering how much of disaster it would be to dye the collar black? Thanks for all the info. I would keep it as is. Personally I like the greenish mouton. I'm already going to put sage and od green knits on a few of my G1s. I just won a nicely aged 55J14 tonight with the scalloped pockets that green knits are going to make it pop! I used to see that exact jacket for sale at Orleans Army and Navy down on Cape Cod back in the 1980's, so I expect they made them for awhile...certainly back then to capitalize on the 80's flight jacket jacket craze. It's a repro. I remember thet Spiewak had some bogus hangtag on it with a madeup story. Thanks, so it would be fairly accurate to say it's a repro from the 80s. I Don't want to misrepresent it if I decide to sell it. 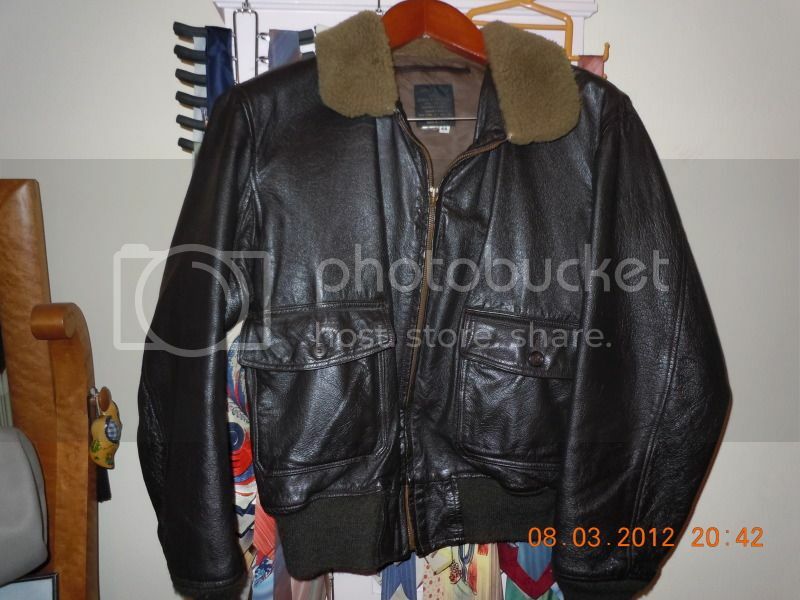 My father gave me this leather flight coat with same tag from Spiewak, contract # n.y n.y so knowing it's a repo where did he buy the thing? He always bought new and from super high end catalogs. 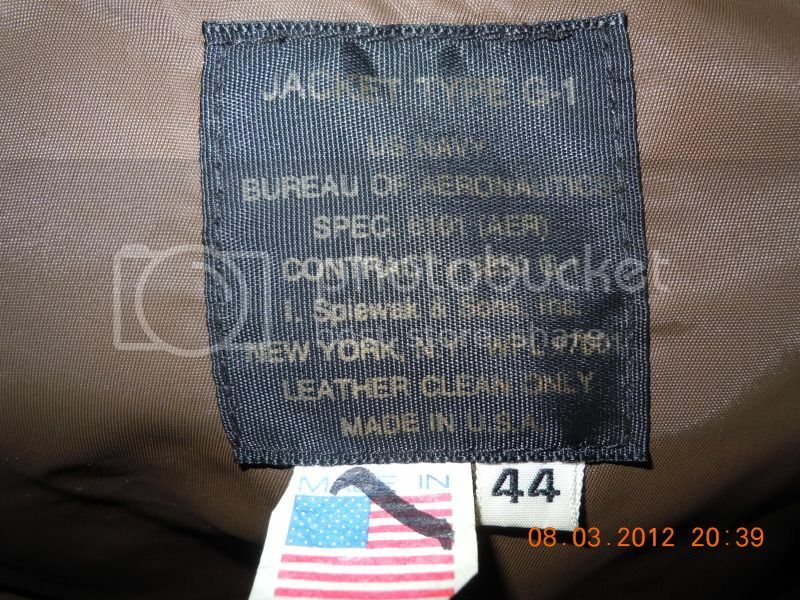 I've searched and cannot find a Spiewak leather coat anywhere., new at least. Still a really good find at a Goodwill. When I had a girlfriend, we used to venture to ours. Most of the time I found the wonen's clothes to be more interesting. Fish70 and Smithy like this.